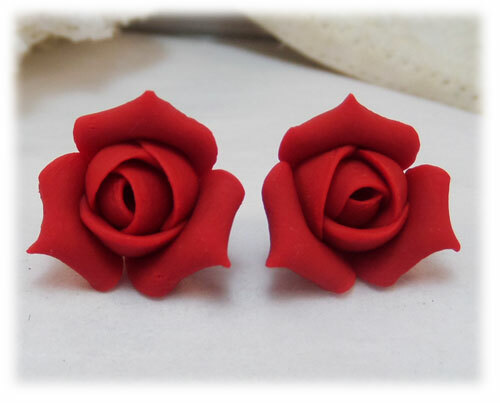 Handcrafted 12mm red rosebud stud earrings on 304 stainless steel, 925 sterling silver, or 14k gold filled posts or on metal clip ons. 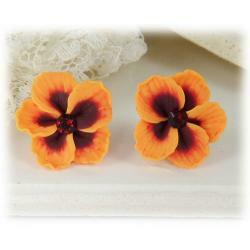 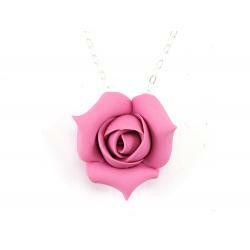 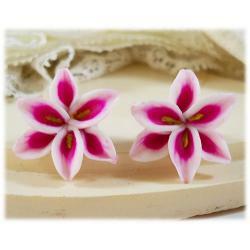 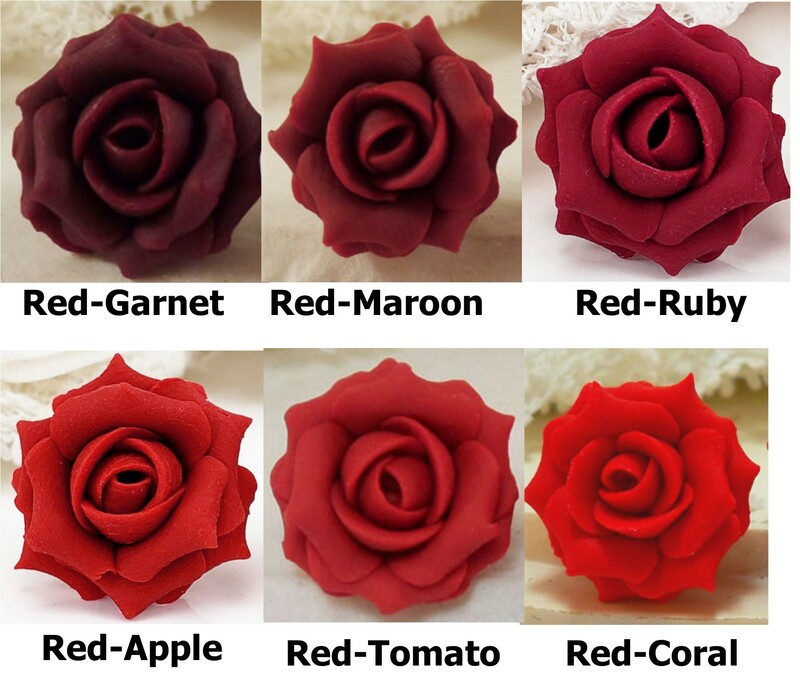 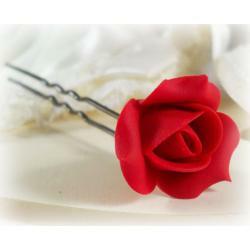 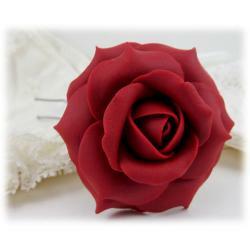 These Polymer clay flowers are handcrafted and available in several red shades. 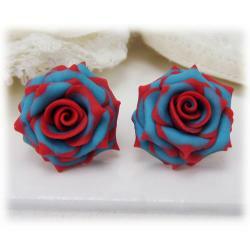 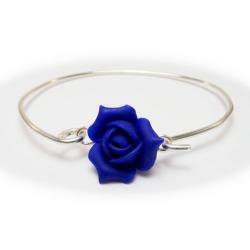 Perfect for formal or everyday wear.